The term Leonese (llionés), in the narrow sense described in this article, refers to certain vernacular Romance dialects which are spoken in northern and western portions of the historical region of León in Spain (modern provinces of León, Zamora, andSalamanca), and in a few adjoining areas in Portugal. In this narrow sense, Leonese is different from the dialects grouped under Asturian, though there is no clear division in purely linguistic terms. The current number of speakers of Leonese is estimated between about 20,000 and 50,000. The westernmost fringes of the provinces of León and Zamora belong to the territory of theGalician language, though there is dialectal continuity between both linguistic areas. 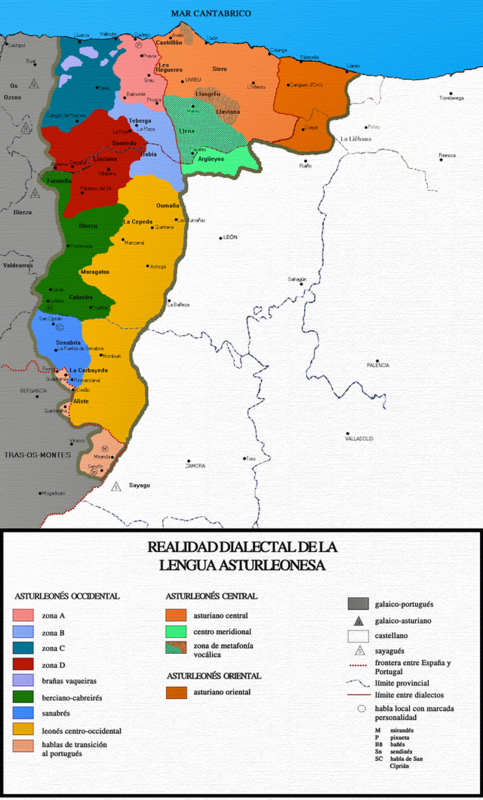 The Leonese and Asturian dialects have long been recognized as constituting a single language, which is currently called Astur-Leonese (or Asturian-Leonese, etc.) by most scholars, but which formerly was termed just Leonese. For most of the 20th century, linguists (eminent among them Ramón Menéndez Pidal in his landmark 1906 study of the language) spoke of a Leonese language or historical dialect descending from Latin, encompassing two groups: the Asturian dialects on the one hand, and on the other hand, certain dialects spoken in León and Zamora provinces in Spain, plus a related dialect in Trás-os-Montes, Portugal. Among the Leonese dialects are (from south to north) Mirandese of Miranda do Douro in Portugal, Senabrés, Cabreirés, andPal.luezu; other Leonese dialects are indicated on the map of dialects below. Nowadays, Mirandese is generally discussed separately from the remaining dialects of Leonese since it is not spoken in Spain. Toponyms and other vocabulary related to Asturian-Leonese show that its linguistic traits had a larger geographical extension in the past, including eastern parts of the León and Zamora provinces, the Salamanca province, Cantabria, Extremadura, and even the Huelva province. Unlike Asturian, the Leonese dialects do not enjoy official institutional promotion or regulation. Provinces of Asturias, León(north and west), Zamora(north-west) in Spain,and the towns of Rionor and Guadramil in northeastern Portugal; Mirandese dialect in Portugal. Menéndez Pidal used the name Leonese for the whole linguistic area, including Asturias. In recent times, this designation has been replaced among scholars of Ibero-Romance with Asturian-Leonese. But Leonese is still often used to denote Asturian-Leonese by persons who are not speakers of Asturian or Mirandese. The Dictionary of the Royal Academy of the Spanish Language definesAstur-Leonese as a term of linguistic classification: the Romance dialect originating in Asturias and in the ancient Kingdom of León as a result of the local evolution of Latin, while it defines Leonese in geographical terms: the variety of Spanish spoken in Leonese territory. The reference to Leonese made in article 5.2 of the Statute of Autonomy of Castile and León has the former, broader denotation. In Leonese, any of five vowel phonemes, /a, e, i, o, u/, may occur in stressed position, and the two archiphonemes /I/, /U/ and the phoneme /a/ may occur in nonstressed position, spelled with e, u, a at the end of word. The Leonese dialects, unlike the Asturian dialects, do not have an official orthography. Some have proposed the establishment of a standard orthography for these dialects distinct from the official Asturian orthography, while others are content to use the Asturian. Asturias Central Asturian-Leonese Tolos seres humanos nacen llibres y iguales en dignidá y drechos y, pola mor de la razón y la conciencia de so, han comportase fraternalmente los unos colos otros. Asturias Western Asturian-Leonese: Zone D Tódolos seres humanos nacen ḷḷibres ya iguales en dignidá ya dreitos ya, dotaos cumo tán de razón ya conciencia, han portase fraternalmente los unos conos outros. León Western Asturian-Leonese: Zone D Tódolos seres humanos nacen ḷḷibres ya iguales en dignidá ya dreitos ya, dotaos cumo tán de razón ya conciencia, han portase fraternalmente los unos conos outros. León Western Asturian-Leonese: Berciano-Cabreirés Tódolos seres humanos ñacen llibres y iguales en dignidá y dreitos y, dotaos cumo están de razón y concéncia, han portase fraternalmente los unos pa coños outros. Trás-os-Montes(Portugal) Western Asturian-Leonese:Mirandese Todos ls seres houmanos nácen lhibres i eiguales an denidade i an dreitos. Custuituídos de rezon i de cuncéncia, dében portar-se uns culs outros an sprito de armandade. Initial /f/ from Latin is kept, like nearly all other western Romance varieties (the major maverick being Spanish, where /f/ > /h/ > Ø). The Latin initial consonant clusters /pl/, /kl/, /fl/ evolved into /ʃ/. Proto-Romance medial clusters -ly- and -cl- became medieval /ʎ/, modern /j/. A parallel development occurred in Italian, where the -cl- became a voiced -gl- before changing into /ʎ/. Rising diphthongs /ei/, /ou/ preserved. The final “e” of the Latin infinitives is kept, like in Italian. /l/ is palatalized word-initially (as in Catalan); sometimes /n/ as well. The medial cluster /sk/ becomes /ʃ/. Western Romance /ɛ/, /ɔ/ consistently diphthongize to /je/, /we/, even before palatals (as in Aragonese): terra > tierra ”land”, oc’lum > güeyu ”eye”. The main endings are -u for masculine singular and -os for masculine plural. For the feminine, the endings are -a for the singular and -as for the plural. Leonese has two genders (masculine and feminine) and two numbers (singular and plural). The main endings are -u for masculine singular and -os for masculine plural. For the feminine, the endings are -a for the singular and -as for the plural. For both are -e for singular and -es for the plural. Adjectives have a concordance in gender and number with the noun. There are three conjugations in Leonese verbs, depending on the ending of the infinitive: -are, -ere, or -ire. There are two divisions in Leonese gerunds depending on the ending: -andu or -endu. There are three kinds of participles in Leonese, ending in -áu (first conjugation), -iéu (second conjugation), or -íu (third conjugation). Possessives in Leonese, like in other Romance languages, must have the article before the possessive. Leonese uses an apostrophe where some prepositions (en, de, pa) elide before a vowel (n’, d’, p’). Conventum Asturum in the first century BC. The Leonese Romance language expanded into new territories of the Kingdom of León. 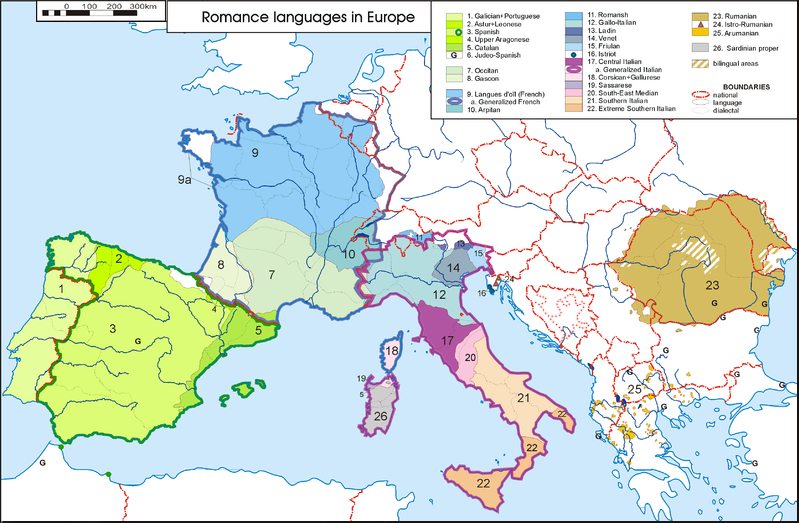 Atlas of Romance languages in Europe in the twentieth century. The native languages of Leon and Zamora, as well as those from Asturias and the Terra de Miranda (Portugal) are the result of the singular evolution of Latin introduced by the Roman conquerors in this area. Their colonization and organization led to the establishment of Conventus Astururm, with its capital in Asturica Augusta, nowadays Astorga, city which became the main centre ofRomanization or Latinization of the pre-existent tribes. The unitary conception of this area would remain until the Islamic invasion of the 7th Century with the creation of an astur dukedom and a capital in Astorga, which together with other seven configured the Spanish territory both political and administratively speaking. Later, about the 11th century, it starts to be defined as a Leonese territory that corresponds in general terms to the southern territory of the ancient convent. The great medieval reign was configured from this space spreading to all the centre and west of the Iberian Peninsula previously led from Cangas de Onís, Pravia, Oviedo and finally in the city of León. In this medieval reign of León the Romance languages Galician, Asturian-Leonese and Castilian were created and spread south as the reign consolidated its domain to the southern territories. The first text known to have appeared in the Asturian-Leonese Romance language is the document Nodizia de Kesos, between 974 and 980 AD. This is an inventory of the cheese larder of a monastery. It was written in the margin on the back of a document that was written in Latin. Between the 12th and 13th centuries, Leonese reached its maximum territorial expansion. It was the administrative language of the Kingdom of León and a literary language. (Poema de Elena y María, El Libro de Alexandre…), in the Leonese court, in justice (with the translation of the Liber Iudicum o Liber Iudiciorum Visigoth to leonés), in the administration and organization of the territory (as stated in the jurisdiction of Zamora, Salamanca, Leon, Oviedo, Avilés, etc. which were written in Leonese from Latin). After the union of the reigns of Leon and Castile in the year 1230 Leonese reached a greater level of written and even institutional usage, although from the end of the 13th century the Spanish started to replace Leonese in writing in a slow process not finally adopted until the 15th century. The previous circumstances, together with the fact that the Leonese was not used in institutional and formal affairs, led Leonese to suffer a territorial withdrawal. From this moment Leonese in the ancient kingdom of Leon was reduced to an oral and rural language with very little literary development. At the beginning of the 20th century, Leonese survived with relative firmness in the north and mid-west of Leon and in the west of Zamora. 1906 was the beginning of the scientific study of Leonese and a timid cultural movement of protest in the province of Leon. But from the 50′s and 60′s, the number of Leonese speakers drastically decreased and the areas where it was spoken were also outstandingly reduced. This social and territorial withdrawal has not stopped yet, although the 80′s were the beginning of a cultural movement of recovery and revalorization of Leonese linguistic patrimony, linguistic protests and promotion of the native language. The geographical area of Leonese exceeds the administrative framework of the Autonomous Community of Castile and León so that the language known as Asturian or Bable in the Autonomous Community in the Principality of Asturias is basically the same as the one known as Leonese in Castile and León. The fact that the geographical area is divided in two Spanish autonomous communities makes the recognition and promotion of this language in Asturias, although clearly insufficient, not to be regarded in Castile and León where the language in completely nonexistent in the official educative system, and lack measures of promotion by the autonomous administration. 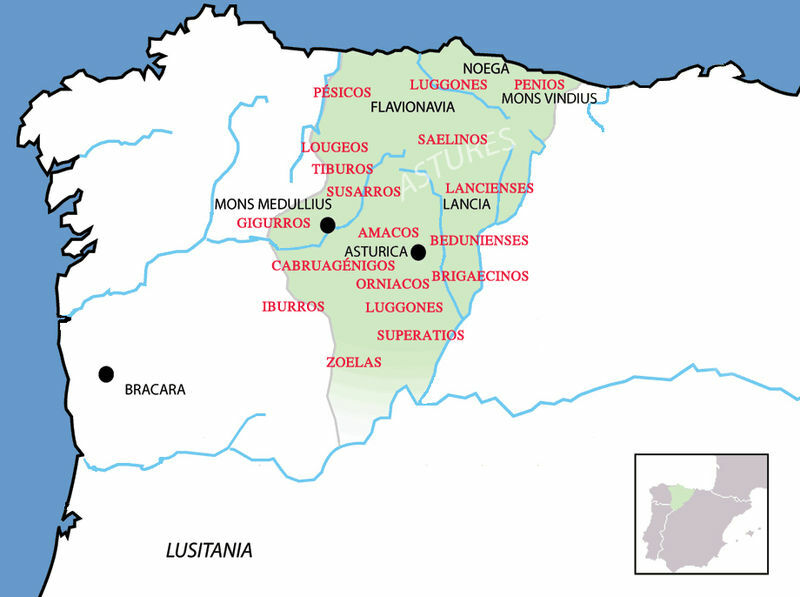 The Asturian-Leonese linguistic domain covers nowadays approximately most of the principality of Asturias, the north and west of the province of Leon, the northeast of Zamora, both provinces in Castile and León, the region of Miranda do Douro in the east of the Portuguese district of Bragança. However, the main objective of this article is the autonomous community of Castile and León. Julio Borrego Nieto in the article about Leonese in his work Manual de dialectología española. El español de España (1996), points out the area where Leonese is best maintained, defined as area 1, “includes the west part of Leon and Zamora if we exclude those previously mentioned areas in which Galician features either dominate or mix with Leonese ones. Area 1 consists of the regions ofBabia and Laciana, perhaps part of Luna and part of Los Argüellos, East Bierzo and the Cabrera; in Zamora, non-Galician Sanabria. It is the most dialectal area and it is therefore, where the traditional features of the Leonese people offer a greater extent (that is, affect to a greater number of words) and vitality (that is, those used by a greater number of inhabitants), to the extent that the dialect is perceived as a different code, capable of alternating with Spanish in a kind of bilingual game”. Besides Borrego Nieto points out at last other geographical circle, which he calls area 2, where the Leonese keeps a more eroding presence and that: “In Leon it is extended to the regions between the interior area and the Ribera del Órbigo (Maragatería, Cepeda, Omaña…). In Zamora, the region of La Carballeda – with the subregion La Requejada - and Aliste, with at least a part of its adjacent lands (Alba[disambiguation needed]and Tábara). This area is characterized by a blur and progressive disappearance, greater as we move to the East, of the features still clearly seen in the previous area. The gradual and negative character of this characteristic explains how vague the limits are”. Percentage of asturleonese speakers according to the collective “Iniciativa pol Asturianu“. A speaker of Leonese is a person who knows and can speak a variety of Leonese. 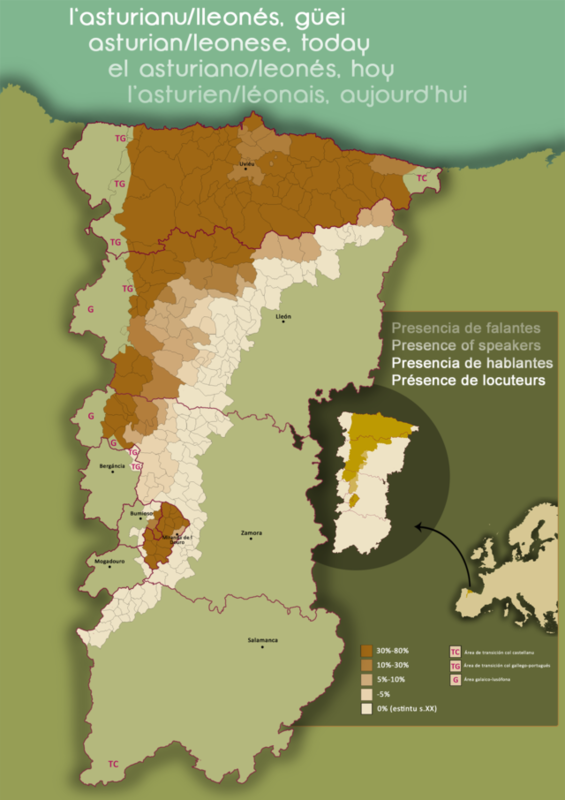 There is not no linguistic census which accurately provides with the real number of speakers of the Leonese in the provinces of Leon and Zamora. The different estimates based on the current number of speakers of Leonese establish run from 5,000 to 50,000 people. II Estudiu sociollingüísticu de Lleón (Identidá, conciencia d’usu y actitúes llingüístiques de la población lleonesa). Boletín de Facendera pola Llengua’s newsletter]. Linguas en contacto na bisbarra do Bierzo: castelán, astur-leonés e galego. 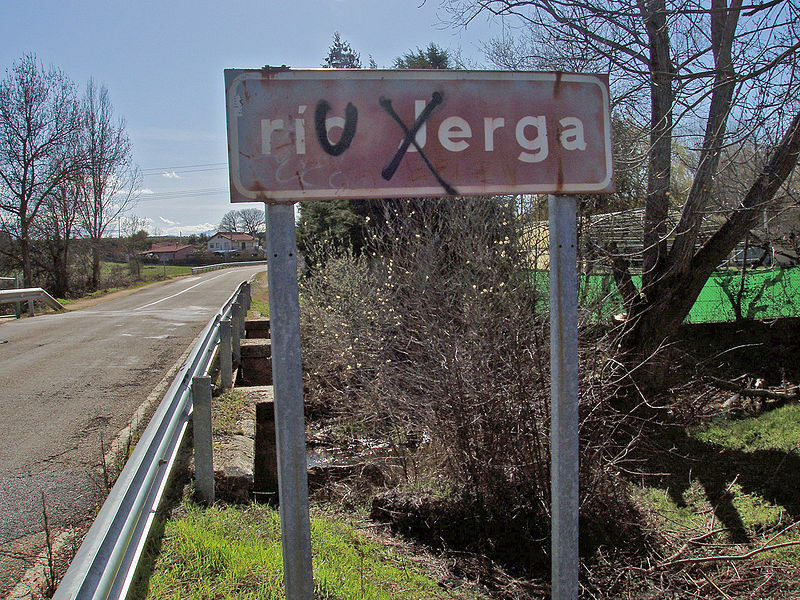 *Referred only to the counties of EL Bierzo, valles de Ribas de Sil, Fornela and La Cabrera. 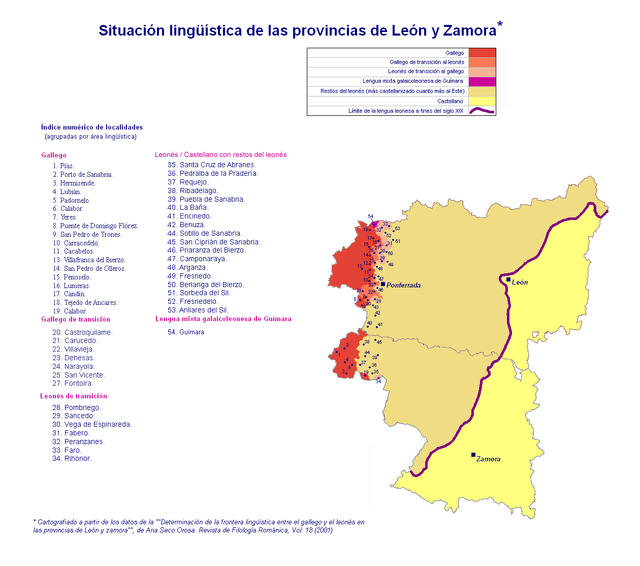 Current linguistic map of the provinces of Zamora and León. The maintenance of the traditional language is the main wish among people, even though with different options. Thus, almost a 37% thinks that the language should be kept for non official uses and about a 30% states that it should be used as Spanish. On the other hand, the wish that it disappears is expressed just by a 22% of the population. Almost half of the population supports granting official status to the traditional language through amending the Statute of Autonomy. The convenience to establish forms of collaboration to develop proceedings of linguistic politics in a coordinated way between León and Asturias reaches a high percentage among population, so that about 7 out of 10 people are in favour of this idea, whereas only a 20% of the people from Leon reject this option. The scholarly study of the traditional language is demanded by more than a 63% of the population. The resistance towards this possibility affect about a 34% of the population, or, which is the same, 1 out of 3 people from Leon do not accept the school option. The positions in favour of the institutional promotion of the traditional language (especially by the town councils) get a percentage of more than 83% of the people’s opinions. In fact, the questioning to the promotional labour hardly reaches the 13% of the people from Leon. Recognise the value of Leonese within the linguistic patrimony of the Community and start a plan of measures aimed towards its specific protection in coordination with the rest of the public administrations. Fulfil the mandate established in article 5.2 of the Statute of Autonomy and, according to it, dictate Regulations about the protection, use and promotion of Leonese. This proposition was approved unanimously by the Plenary session of the Parliament of Castile and León on May 26, 2010. Nevertheless, the position of the Government of Castile and León in relation with the promotion of the Leonese language one has not changed, and, this way, no measure or plan has promised to be in order to give fulfillment to the article 5.2 of the Statute of Autonomy. The Autonomous Community of Castile and León lacks a governmental agency to promote the minority languages in the community as well as a nongovernmental agency in an advisory capacity in matters pertaining to minority languages. 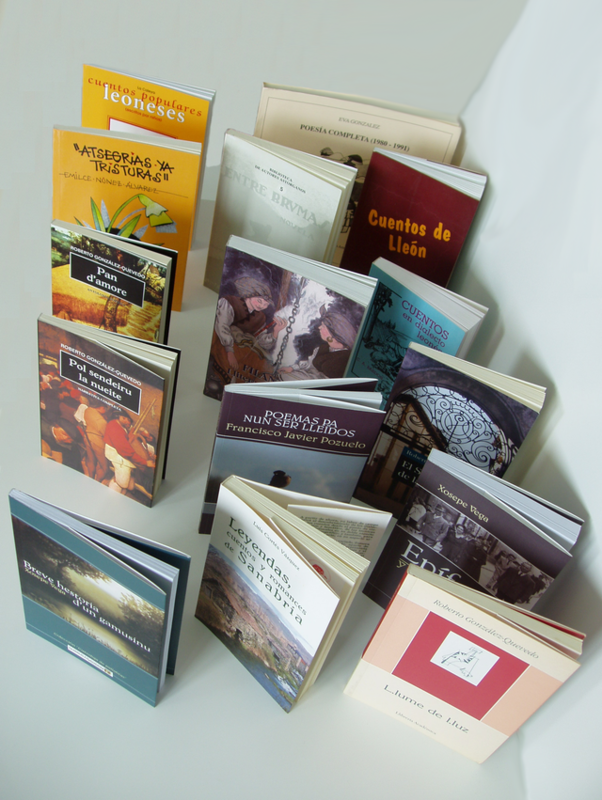 The Academy of the Asturian Language has sponsored linguistic and sociolinguistic research which encompasses non-Asturian dialects of Asturian-Leonese. Based on articles 5.2 and 5.3 of the Statute of Autonomy, raise the legal status of Leonese to equal that of Galician. Create an autonomous administrative organ under the Departament of Culture and Tourism responsible for protecting and promoting Leonese and Galician. Introduce the learning of Leonese in teaching of children and adults. Recover the native toponymy by implementing bilingual signage. Support the cultural and literary creation of Leonese and the Publications and editorials that use Leonese. Collaborate with the associations which base their work in the recovery of Leonese. Stimulate the presence of the Leonese in the social means of communication. Promote literary contests in Leonese. Coordinate the tasks of recovery in coordination and cooperation with linguistic institutions, centres of studies and administrations in the rest of the Asturialeonese linguistic area.. Mandate that local governmental bodies assume responsibilities for the recovery of Leonese. 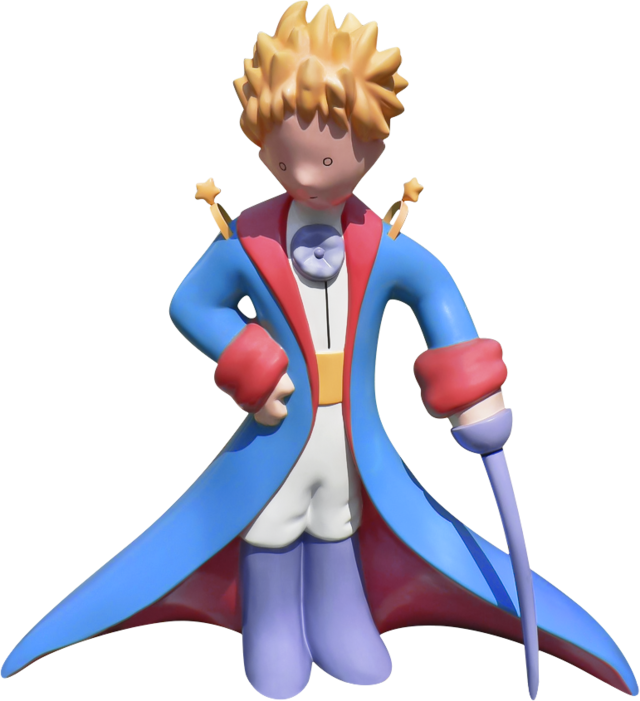 “El Prencipicu”: This is the Leonese version of the book “The Little Prince“. Translation made possible through the collaboration of the cultural associations“Facendera pola Llengua” and “La Caleya”. 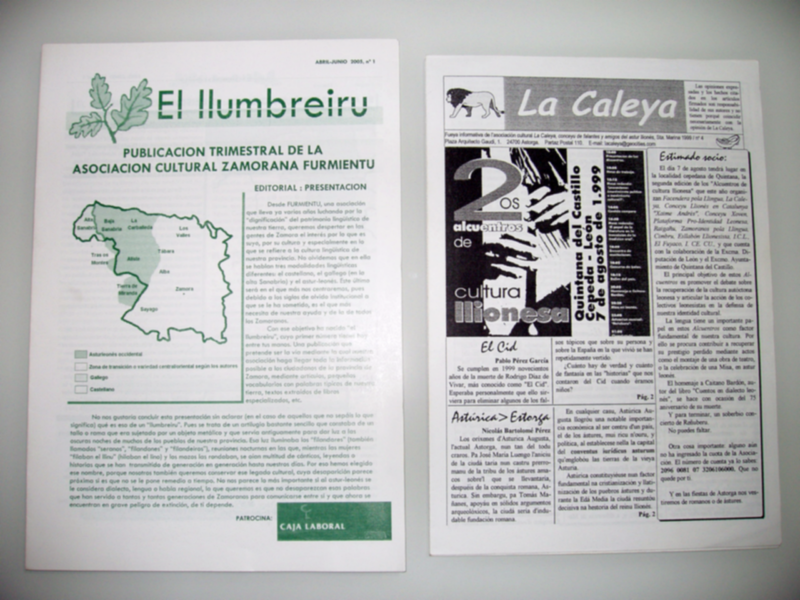 Newsletters of the cultural associations “Furmientu” and “La Caleya”. For approximately fifteen years some cultural associations have offered courses to learn the Leonese, sometimes with the support or collaboration of local Administrations in the provinces of Leon and Zamora. The autonomous community of Castile and León has never collaborated in these courses which in most occasions have taken place in precarious conditions, without continuity or by unqualified teachers and very often, far from the area where Leonese is spoken. At the end of the 1990s, several associations unofficially promoted Leonese language courses. 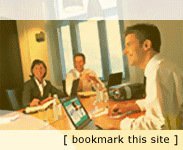 In 2001, the Universidad de León(University of León) created a course for teachers of Leonese, and local and provincial governments developed Leonese language courses for adults. Nowadays, Leonese can be studied in the most important villages of León, Zamora and Salamanca provinces in El Fueyu Courses, after the signing of an agreement between the Leonese Provincial Government and this organization. 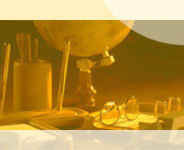 The Leonese Language Teachers and Monitors Association (Asociación de Profesores y Monitores de Llingua Llïonesa) was created in 2008 for the promotion of Leonese language activities. Leonese language lessons started in 2008 with two schools and are currently taught in sixteen schools in León city in 2008-2009, promoted by the Leonese Local Government’s Department for Education. This Leonese language course is for pupils in their 5th and 6th year of Primary School (children 11 and 12 years old), where Leonese is taught along with Leonese culture. Leonese Language Day (Día de la Llingua Llïonesa, in Leonese), is a celebration for promoting the Leonese language and the advances in its field and was the result of a protocol signed between the Leonese Provincial Government and the Cultural Association for Leonese Language El Fueyu. Benigno Suárez Ramos, El tío perruca, 1976. ISBN 978-84-400-1451-1. Cayetano Álvarez Bardón, Cuentos en dialecto leonés, 1981. ISBN 978-84-391-4102-0. Xuan Bello, Nel cuartu mariellu, 1982. ISBN 978-84-300-6521-9. Miguel Rojo, Telva ya los osos, 1994. ISBN 978-84-8053-040-8. Manuel García Menéndez, Corcuspin el Rozcayeiru, 1984. ISBN 978-84-600-3676-0. Manuel García Menéndez, Delina nel valle’l Faloupu, 1985. ISBN 978-84-600-4133-7. Eva González Fernández, Poesía completa : 1980-1991, 1991. ISBN 978-84-86936-58-7. VV.AA., Cuentos de Lleón – Antoloxía d’escritores lleoneses de güei, 1996. ISBN 84-87562-12-4. Roberto González-Quevedo, L.lume de l.luz, 2002. ISBN 978-84-8168-323-3. Roberto González-Quevedo, Pol sendeiru la nueite, 2002. ISBN 978-84-95640-37-6. Roberto González-Quevedo, Pan d’amore : antoloxía poética 1980-2003, 2004. ISBN 978-84-95640-95-6. Roberto González-Quevedo, El Sil que baxaba de la nieve, 2007. ISBN 978-84-96413-31-3. Some examples of literature written in the Leonese language. Emilce Núñez Álvarez, Atsegrías ya tristuras, 2005. ISBN 978-84-8177-093-3. Luis Cortés Vázquez, Leyendas, cuentos y romances de Sanabria, 2003. ISBN 978-84-95195-55-5. Ramón Menéndez Pidal, El dialecto leonés (Commemorative edition with stories and poems in Leonese), 2006. ISBN 978-84-933781-6-5. VV.AA., Cuentos populares leoneses (escritos por niños), 2006. ISBN 978-84-611-0795-7. Nicolás Bartolomé Pérez, Filandón: lliteratura popular llionesa, 2007. ISBN 978-84-933380-7-7. José Aragón y Escacena, Entre brumas, 1921. ISBN 978-84-8012-569-7. Francisco Javier Pozuelo Alegre, Poemas pa nun ser lleídos, 2008. ISBN 978-84-612-4484-3. Xosepe Vega Rodríguez, Epífora y outros rellatos, 2008. ISBN 978-84-612-5315-9. Xosepe Vega Rodríguez, Breve hestoria d’un gamusinu, 2008. ISBN 978-84-612-5316-6. VV.AA. (Antoine De Saint-Exupéry), El Prencipicu (Translation of The Little Prince), 2009. ISBN 978-84-96872-03-5. Ramón Rei Rodríguez, El ñegru amor, 2009. ISBN 978-84-613-1824-7. Juan Andrés Oria de Rueda Salguero, Llogas carbayesas, 2009. ISBN 978-84-613-1822-3.